Cheyenne Nimes is currently residing in Iowa City. A hybrid manuscript on American rivers & the world water crisis — which received the Edwin Ford Piper Scholar Award — is looking for a home. She was an Iowa Arts Fellow in the MFA nonfiction writing program at Iowa. An NEA fellow and writer in residence at the Iowa Art Museum, she was the 2009 winner of DIAGRAM's hybrid essay contest. 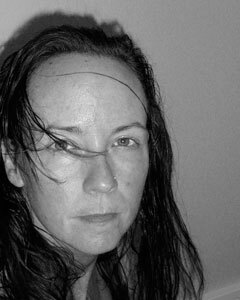 Her work has appeared in Sonora Review, Ninth Letter, Green Mountains Review, Kenyon Review, kill author, Full of Crow, Nano Fiction, Abjective, and others, and can also be found at strangeh2os.wordpress.com.